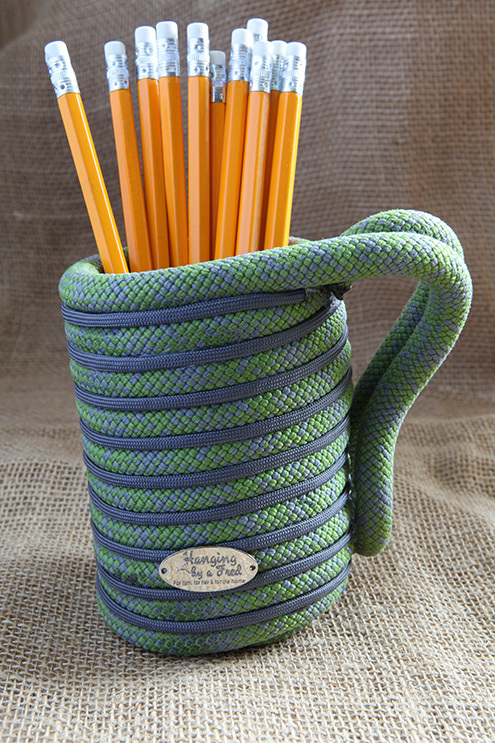 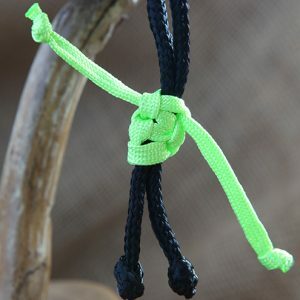 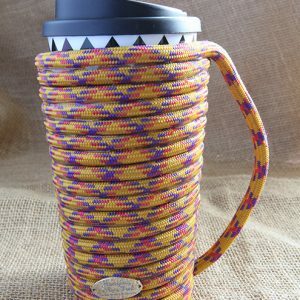 Upcycled retired climbing rope mug. 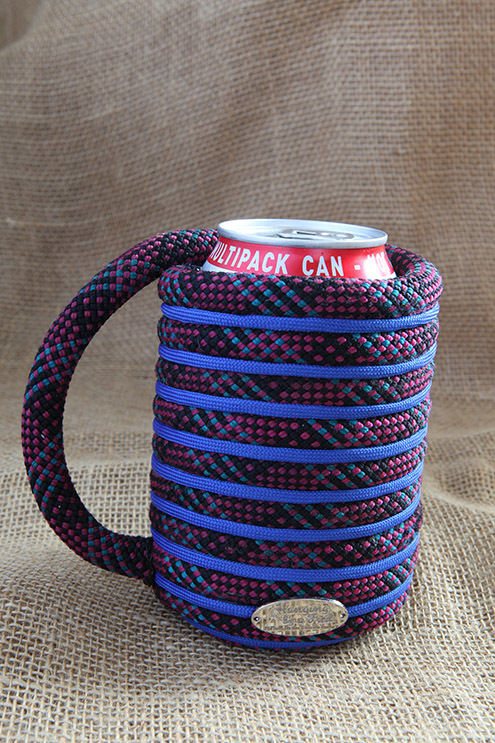 Use as a can cosy for standard drinks cans or an usual desk tidy. 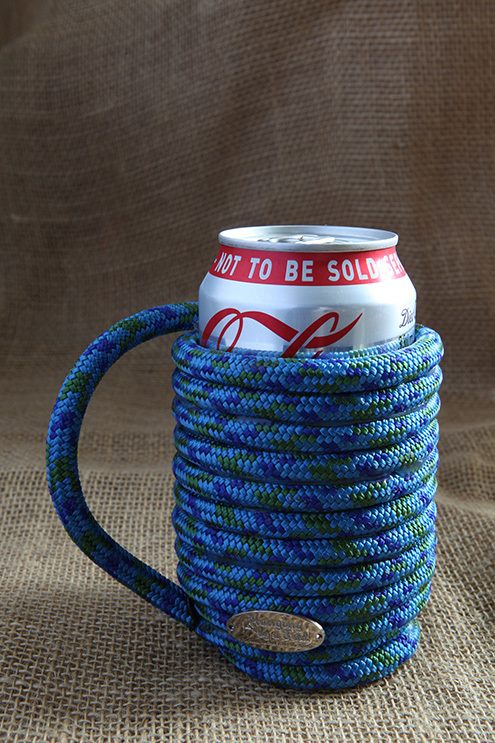 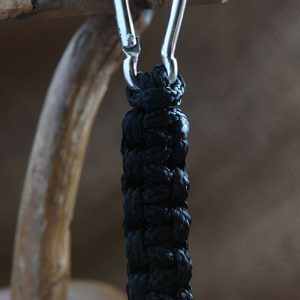 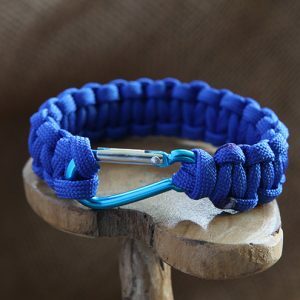 Upcycled retired Climbing Rope Can Cosy. 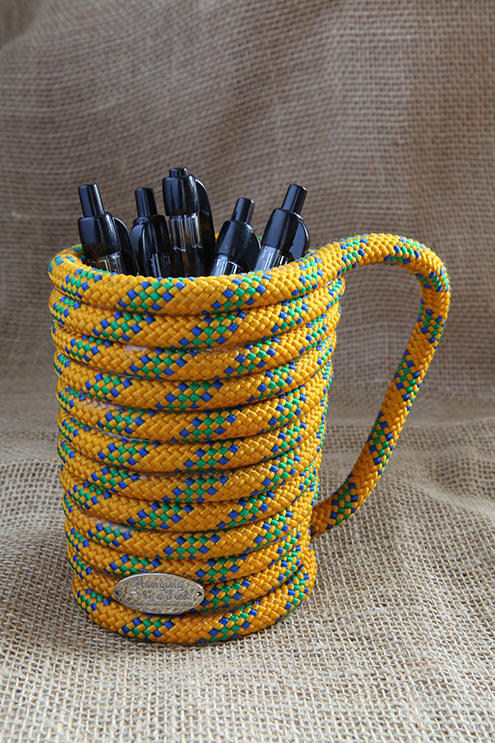 Perfect for holding any standard can of pop, or even use as a desk tidy to store your pens and pencils.